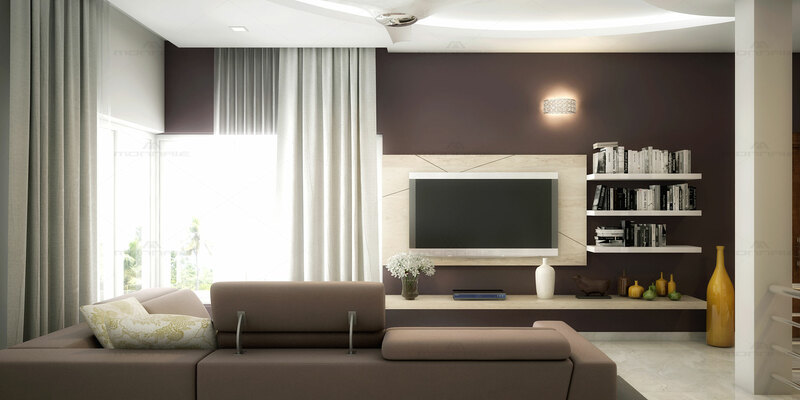 The purple colour highlighted in the panelled wall attracts the eyesight first. The wall curtains and sofa matches the overall concept. The false ceiling and showpieces is indeed a style statement. Colour combination is soothing and has relaxing texture, adding the overall theme of the room.